Brazil is an emerging power in the global scenario, the largest Latin-American country and one of the chief consumer markets in the world. Knowing Brazil well and learning Portuguese provide an important edge to your professional education. 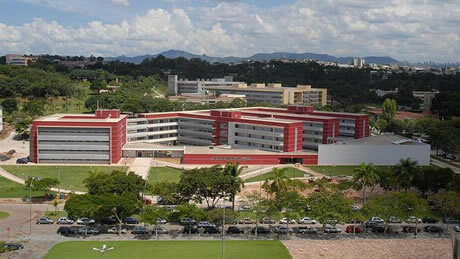 The country´s beauty and diversity are yet more incentives for you to come and study in Brazil. Its welcoming and joyful people and pleasant tropical climate contribute to an even more compelling experience. Institutions of Brazilian public and private education are open to receive foreigners from any nationality who want to study in Brazil. Youngsters aged 15 to 18 can participate in exchange programs maintained by specialized companies, associations or educational organizations. In these cases, the selection of students and enrollment in Brazilian schools are the responsibility of the entity that organizes the exchange program. Another important issue is that the validation time of studies in Brazil as credit toward the completion of the corresponding level of education depends on the legislation of the country of origin. In some cases, there is no advantage of the academic semester or year in Brazil. Even so, many students opt for the exchange as a way to broaden their knowledge and cultural experience. Several Brazilian institutions, public and private higher education, maintain exchange agreements at the graduation level with foreign educational institutions. In these cases, the youngster is already a college student and can request his transfer to Brazilian university or college. The rules for selection depend on the individual agreement, the same goes for scholarships. The student who wants to do the entire graduation program in Brazil needs to be aware of the schedules and the selection processes demands of the university. Some institutions perform the selection of foreign students through their college entrance exams. Others maintain programs to welcome foreigners with special selection process. Foreigners who are university professors, researchers, professionals or graduates of higher education may qualify themselves in Brazilian Universities by the Covenant Student Graduate (PEC-PG) Program. Through it, citizens of developing countries with which Brazil maintains educational and cultural agreements can get scholarships for masters and doctorate in Brazilian institutions. Brazil has the best Universities in Latin America, many of them are in Rio de Janeiro, São Paulo, Minas Gerais and Rio Grande do Sul. Its programs in Biology, Odontology, Medicine, Dermatology and Veterinary are world-renowned and sought after by students from every corner of the planet. For this reason, a number of multinational corporations recruit employees in Brazilian universities. MBA programs and specialization courses in Brazil are also noteworthy, as well as programs that combine traineeships and volunteer work in needy communities or indigenous communities. The basic procedure for a young foreigner to study in Brazil, regardless of level of education, is being accepted by the educational institution and arrange for a student visa. The visa is only granted by the document showing approval or enrollment in school or university. The Student Visa may be granted for stays of up to 365 days in Brazil, for accepted or enrolled students in graduation or post-graduation courses recognized by the Brazilian Ministry of Education. To be accepted in Brazilian universities, students should have knowledge of Portuguese. To prove it, must submit to an internationally recognized exam, called Celpe Bras – Certificate of Proficiency in Portuguese for Foreigners. The certificate, accepted by companies and institutions, has four levels: Intermediate, Upper Intermediate, Advanced and Superior.